Following an ominous threat made by the Somalian outpost of Al Qaeda, Homeland Security officials are urging Americans to take extra precautions this weekend as they go about their leisure activities. 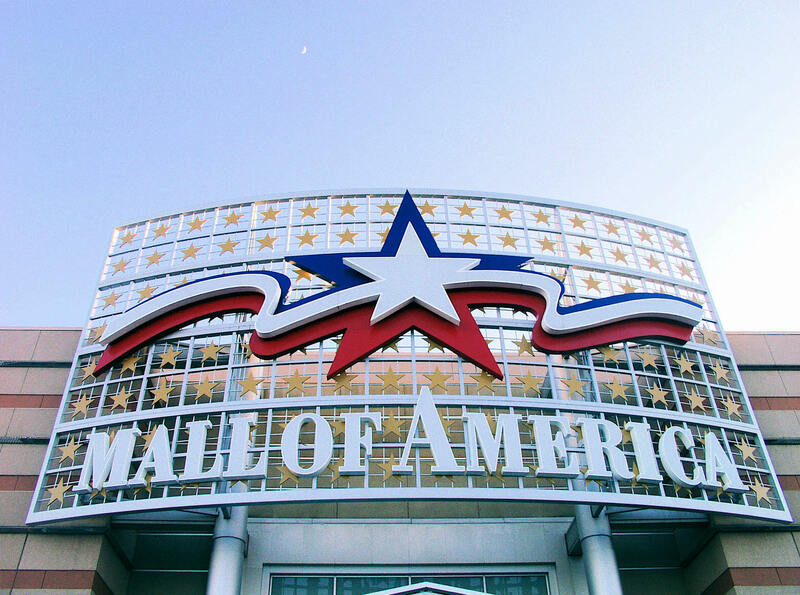 Terrorist organization al Shabaab recently named the Mall of America in Bloomington, Minnesota as a potential target for an attack, alongside West Edmonton Mall in Canada and the Oxford Street shopping area in London. In an interview with Gloria Borger on CNN's State of the Union, Homeland Security Secretary Jeh Johnson warned potential shoppers to stay vigilant and exercise extra caution. Said Johnson, "If anyone is planning to go to the Mall of America today, they've got to be particularly careful. There will be enhanced security there, but public vigilance, public awareness and public caution in situations like this is particularly important, and it's the environment we're in, frankly." The mall, the largest by size in the United States, has taken the necessary means to strengthen existing security measures, with one local official telling CBS News that the facility was using "extra security precautions - some visible to guests and others that are not." And while Johnson and other security officials do not intend to dissuade Americans from engaging in their day-to-day lives, many experts have emphasized the need to take any and all threats gravely. As Johnson noted on Sunday, "Anytime a terrorist organization calls for an attack on a specific place, we've got to take that seriously." DHS Assistant Secretary for Public Affairs Tanya Bradsher later clarified to CNN that Johnson was by no means insinuating that shoppers should avoid the mall altogether, but merely wanted to keep Americans well-informed of the situation at hand. "Sec. Johnson didn't say that they should not go to the mall, he told shoppers to be extra vigilant and that security was increased," Bradsher said. Another official echoed this sentiment, saying, "No one should avoid going to the mall because of this random online threat. The FBI has a program to work with various malls around the country to improve security." Still, al Shabaab's new video only heightens tensions that have already escalated as a result of numerous recent propaganda videos distributed by ISIS (ISIL), many of which have only made too plain that the terrorist organization is willing to carry out its threats to their violent and inhumane completion. On Saturday, ISIS released its latest video installment, threatening to execute 21 Kurdish Peshmerga fighters. And in al Shabaab's video, released the same day, terrorists purportedly broadcast "graphic images and the terrorists celebrating the 2013 Westgate Mall attack in Nairobi, Kenya," which ultimately claimed the lives of nearly 70 individuals. CBS News correspondent Charlie D'Agata reports that over an hour of footage is shot documentary-style, with a focus on the terrorist group's displeasure at Kenyan intervention in Somalia. According to D'Agata, "The group is essentially saying if militants can attack a mall in Nairobi then others can attack targets elsewhere." According to its website, the Mall of America attracts some 40 million visitors a year, and is responsible for nearly $2 billion in annual economic activity within Minnesota. The other two named targets, West Edmonton Mall in Alberta, Canada and Oxford Street in London, are also key shopping destinations. West Edmonton Mall boasts nearly 31 million visitors every year, and is also home to the world's largest parking lot, while Oxford Street is one of London's busiest fashion streets. On Friday, al Shabaab claimed responsibility for an attack on a hotel in Mogadishu, Somalia, killing 25 and wounding 40 more. A statement from Prime Minister Omar Abdirashid Ali Sharmarke's office noted that two suicide bombers, one of whom used a car, carried out the attack on the Central Hotel, an establishment frequented by politicians. Among the victims were Mogadishu's deputy mayor and two legislators. This latest statement from al Shabaab reflects the new phase we’ve evolved to in the global terrorist threat, in that you have groups such as al Shabaab and ISIL publicly calling for independent actors in their homelands to carry out attacks. We're beyond the phase now where these groups would send foreign operatives into countries after being trained some place. And in a plug for his department, Johnson also noted that this increased terror threat further underscores the need for an increased Homeland Security budget. "These groups are relying more and more on independent actors to become inspired, drawn to the cause ... on their own, through their effective use of the Internet," Johnson said. "That's why it's critical that we work in the communities where these folks might be able to recruit to develop a counter-narrative." This, the Secretary continued, will require funding from the federal government, and he called the current impending funding expiration deadline "absurd ... in these challenging times." Despite the fact that Bloomington was singled out as the American locale for al Shabaab's attack, officials have revealed that the authorities in major U.S. metropolises, including New York and Chicago, have also been notified of the existing threat, and continue to cooperate to ensure the safety of the American people.